Don't use any Data Recovery Software, it may over write or erase your data permanently. Do not disconnect the end of the data cable (SATA/ ATA Bus) connected with the Hard Disk. Do not try to connect your media with another motherboard/PC/laptop/USB connector and trying an error repeatedly. Do not scan with any antivirus if you are not sure about the cause of the data lost, it may erase your data permanently. Do not try an error manually by plugging and playing. Do not try any recovery software without knowing the after crash condition of the media, which may corrupt your data permanently. Do not open the internal or external HDA (Hard Disk Assembly). Do not keep the media in moist place and keep way from dust. Do not use ordinary brush to clean dust from the PCB of the media, it may damage the PCB or can erase the foot print of the cause of the data lost. Disconnect the data cable carefully and carefully disconnect your flash memory/pen drive from USB connector. Use hand pumped blower to remove the dust from PCB. Contact us immediately and talk to our experts, get the right time right solution. Data recovery from Memory Card, Pen drive etc. Capturing our special moment of our life in camera and storing them in pen drive, memory card, laptop or desktop Hard Disk, is very common and easily we loss the captured videos and images. Due to problem in your camera, Memory Card, laptop and desktop hard disk etc. we loss the data and try here and there for the solution. You just contact us and send the media and recover the images and videos. Call our customer care number. Tell us everything in detail about your media crash or personally come to our office. Register for DCC (Data Crash Condition Report). You can register online here and send the media by courier. This is a crucial time for your data, please follow our instructions properly. The diagnosing (DCC) Report will be mailed to your registered E-Mail ID. The report will be containing Data Recovery possibilities and solution, costing and estimated recovery time. After receiving your confirmation mail we will start the recovery process. Recovered Data shall be copied to the same media or in another media as per DCC Report. Don't worry! "No Data, No Charge". DCC Report in detail of your media crash. Evaluation Report With Written Quote. "No Data, No Charge" Service Guarantee. 100% Customer Privacy and Confidentiality. 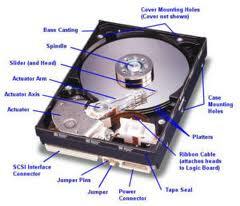 "Warranty Safe" Data Recovery Services. 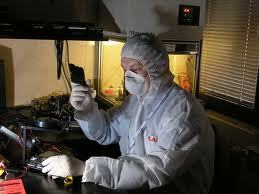 Nationwide Data Recovery Service Coverage. Any Media / Any Brand / Any Operating System. Physically Damaged Hard Drives - "Click Of Death". Deleted, Overwritten or Corrupted Files and Emails. RAID, SAN, NAS and Server Data Recovery. Tape Overwrites, Backup Restore Services. Below are the cause of a Hard Disk crash. 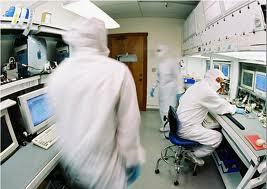 We are the only service center who provides the service from Chip Level to Hardware & Software level. So you don't need to run here & there for servicing your IT products. We repair Laptop, Motherboard, Monitor, Hard Disk, UPS, Printer etc. to know more about, Click Hard Disk for Hard Disk Repairing, Click Laptop for Laptop repairing, Click Printer for Printer Repairing, For Other Chip Level and AMC Service Click Here.